Brief Essentials In Collaboration With Sebeccly Cancer Care and Support Centre held a 2-Day Lingerie Sales and Breasts Cancer Screening Event. In celebration of breast cancer awareness month, Nigeria's leading lingerie, shapewear and underwear store held a free breast cancer screening and lingerie sales where a percentage of sales will be donated to Sebeccly Cancer Care Support Centre to care for Breast Cancer Patients at its office on Sat and Sun 27th - 28th Oct 2018. The store which is located in the heart of Magodo GRA 2, Lagos saw women trooping in to have their breast examined and meet with medical consultant from Sebeccly Cancer Care. Speaking during the event, Seun Tayo-Balogun, the Chief Executive Officer of Brief Essentials revealed that women need to know more about themselves and this event is particularly crucial considering that when it comes to Breast Cancer, early detection is key. "We believe that many women need to check their breasts in order to prevent or at least lower their chances of having breast cancer. What you don't know can actually kill you! Women needs to get screened. While this event is first of its kind, we've always joined the breast awareness campaign each October. Women should take their health seriously" she said. 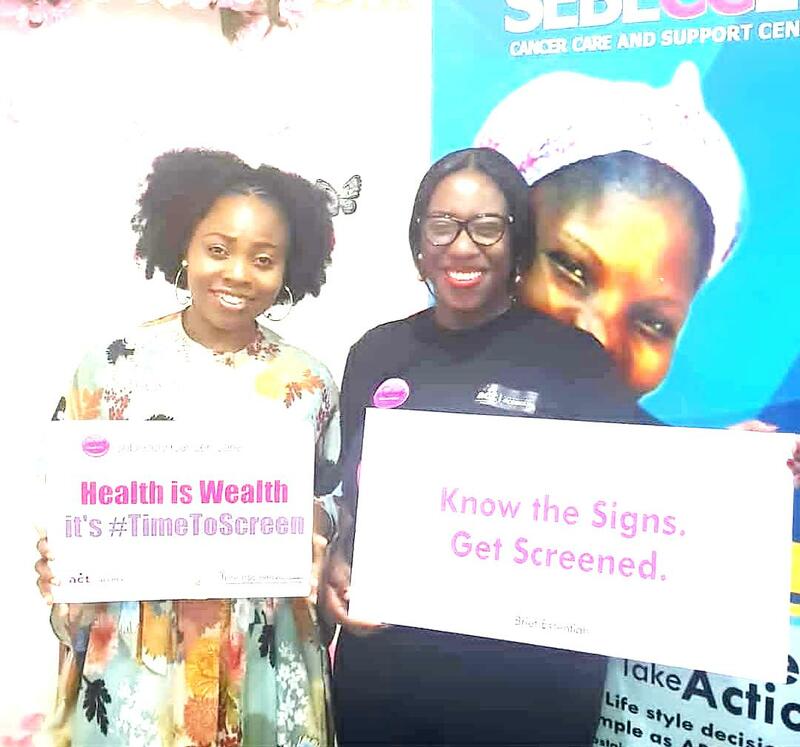 According to her, Brief Essentials partnered with a leading Breast Cancer Support Centre in Nigeria, Sebeccly, to ensure that experienced medical professionals examine women who were at the sale. Also speaking at the event, Nurse Elizabeth, a clinical nurse with the foundation said that the foundation has screened numerous women and in that screening, they discovered a fourteen year old girl with breast cancer. "Breasts cancer is a very grave sickness affecting women in Nigeria. There is no age limit to breast cancer so we advice women to come out along with their daughters to get screened" she said.